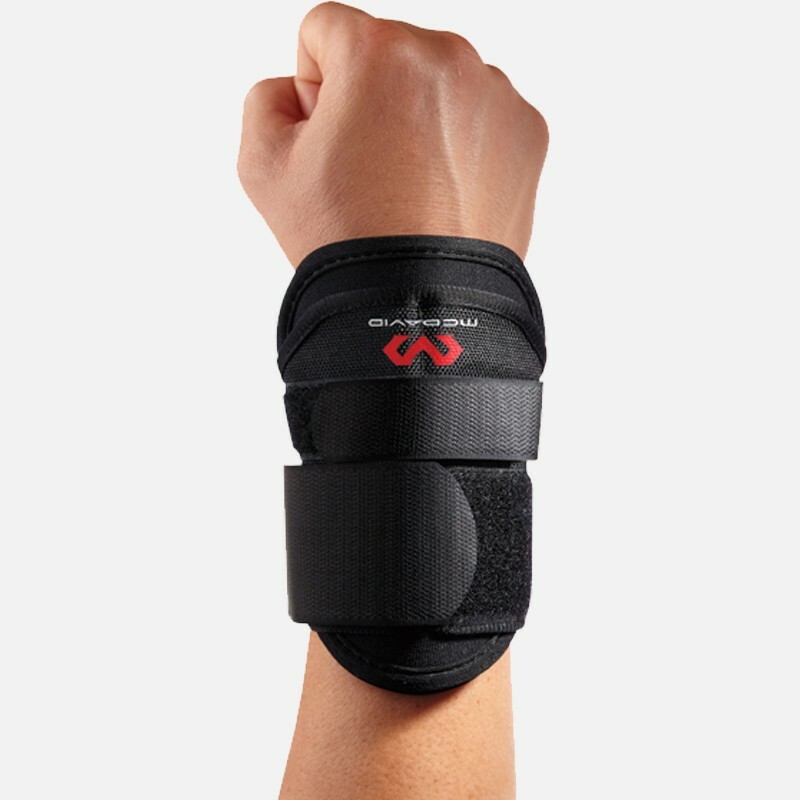 The McDavid Wrist Guard #5120 provides effective hyperextension protection and support for wrist injuries. The brace is made of latex-free neoprene for comfort and has a padded insert inside for added wrist protection. The wraparound design and adjustable straps ensure a supportive fit. Mcdavid Wrist Guard Features: Provides lightweight hyperextension wrist control. Latex-free neoprene for warmth and compression. Padded insert inside for added support and protection. Reduces the chances of hyperextension wrist injuries from occurring. Fits right and left sides. One size fits most design.